Pewabic Pottery Awarded $13,500 in Grant Funding for Children's Programs! Pewabic Pottery recently received grants from the PNC Foundation, the CIGNA Foundation and the Junior League of Detroit totaling $13,500 to support its bedside art and youth education programs. The PNC Foundation awarded Pewabic Pottery a grant of $10,000 to support a 12-week in-school program for low-to-moderate income pre-schoolers in Detroit, focusing on cognitive, social, emotional and psychomotor skill-building through ceramic arts lessons and activities. As part of its “Grow Up Great” initiative, the PNC Foundation supports nonprofit organizations that work to directly improve children's school readiness by providing support in one of the following key areas: social and emotional development, teacher training and arts and culture. The CIGNA Foundation awarded Pewabic Pottery a grant of $2,500 to support its Bedside Art: Fun With Clay program. The CIGNA Foundation is committed to enhancing the health of individuals and families through the well-being of the communities in which they live and work, and does this in part through financial support of creative and responsive programs and services. The Junior League of Detroit awarded Pewabic Pottery a grant of $1,000 to support its Bedside Art: Fun With Clay program. The Junior League of Detroit focuses on elevating the lives of children. They use, initiate and participate in community-based collaborative partnerships that work to broaden the educational, cultural, recreational, and health opportunities for children in the city of Detroit. Pewabic Pottery’s inpatient Bedside Art program currently serves 600 pediatric patients, ages 7-18, annually at Detroit’s Children’s Hospital of Michigan. This year round bedside ceramic arts program is designed to promote wellness by providing creative activity as an outlet for expression, which is beneficial to hospitalized children. This program is unique in that it is the only hospital ceramic art program of its kind currently provided to inpatients in one of Michigan’s largest pediatric hospitals. Pewabic Pottery is open to the public year round and offers classes, workshops, lectures and tours to children and adults. 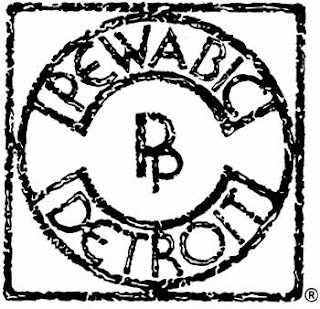 Pewabic continues to create tile for architectural and offers galleries that showcase more than 70 ceramic artists and a museum store for purchasing handmade items. Visitors are welcome, free of charge, during regular business hours Monday – Saturday from 10 a.m. – 6 p.m. and Sunday from noon to 4 p.m.
To learn more about Pewabic Pottery call (313) 626-2000 or visit our website at www.pewabic.org. Pewabic Pottery can be found at 10125 E. Jefferson Ave. in Detroit across the street from Waterworks Park. 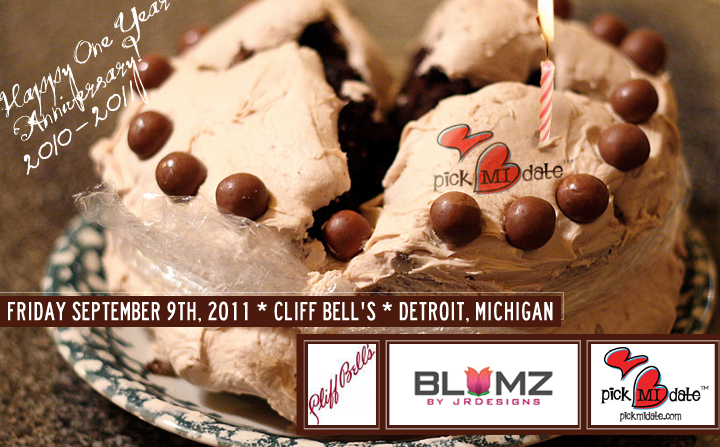 Pick Mi Date is Celebrating Its 1 Yr Anniversary With a Date to Cliff Bell’s! Friday, September 9 at 8:00 pm!! The Winning Couple Will Receive a 3 Course Dinner and Two Round of Drinks from Cliff Bell’s New Menu (we’ve tried it and it’s delicious)! After Dinner Entertainment Provided by Grupo Escobor, Detroit’s Very Own 11 Piece Cuban Band! You Must Sign Up As a Dater By Sunday, September 3rd 2011! Voting Begins at 9am Monday, September 4th! You walk by this space everyday. Maybe it's an alley, or a surface parking lot, or a shadowy nook under an overpass. You think to yourself how great it could be, filled with people and activity instead of sitting there looking all sad and sorry. It wouldn't take much, you figure, to turn this site into a really cool spot. Architects and planners call these spaces the "missing teeth" in our urban fabric. As buildings are torn down for parking or empty lots, our streetscapes take on a gap-toothed appearance. Sometimes it's the smallest slivers of space that can make the difference between a vibrant, walkable neighborhood and a place that feels uninviting or unsafe. “Mind the Gap” is a public ideas competition for Detroit Design Festival to generate creative new ideas for these in-between spaces in our city. Alleys, bridges, overpasses, sidewalks, storefronts, surface parking lots, vacant lots – any space that connects two places. For the sake of this project, we're not looking for major in-fill development ideas. We're looking for small-scale interventions that could have a large impact. We're looking for simple ways to stitch Detroit's urban fabric back together. You need not be an architect or planner to enter this competition. All you need is the ability to describe a site and solution. Supporting images are encouraged, but not required. Anyone can submit an idea online through the “Mind the Gap” website or in person at Bureau of Urban Living, 460 West Canfield Street, Detroit, MI 48201. Submissions are due Monday, September 12, 2011, 5:00 pm EST. Submissions will be reviewed by a jury, and a $100 cash prize will be awarded to the best idea. A selection of ideas will be displayed and published during Detroit Design Festival (September 21-28, 2011) presented by the Detroit Creative Corridor Center (DC3). “Mind the Gap” is organized by the lovely Claire Nelson of Bureau of Urban Living. For more information, email info@bureauliving.com. Chicago restaurateur Jerry Kleiner is considering opening a restaurant, tentatively named L's Cheesecake Bistro, in the 8,000-square-foot space that used to be Sweet Georgia Brown on the corner of Monroe and Brush streets in Detroit's Greektown. Kleiner, known for building opulent restaurants in isolated areas, said he was approached by executives at Greektown Casino-Hotel, which owns the space, about opening a restaurant there. Kleiner said he wants to open a restaurant in Detroit that fits the personality of the city but is still exploring options, including location. "I think you have to cater to the needs of the community, and you want to do something for that particular customer base," he said. "You can't go wild, but you want some sizzle." Kleiner was not ready to say when construction will begin but said the restaurant should be open by spring. "I feel Detroit is a blank canvas ready to explode," Kleiner said in April, when he first began scoping out locations in the area. "It's on everybody's radar." Kleiner also said he is looking for a local businessman to help him with the project and is considering La-Van Hawkins, the former majority owner of Sweet Georgia Brown, as well as the former president of Wolverine Pizza LLC, which once owned 80 Pizza Hut franchises in Southeast Michigan. 2nd Annual Shimmer on the River Fundraising Gala for the Detroit RiverFront Thurs, Sept 8th! 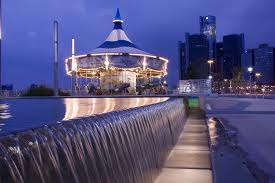 The Detroit RiverFront Conservancy will host its largest fundraising celebration of the year, Shimmer on the River, on Thursday, September 8, 2011 from 6 to 10 p.m. This magical night, taking place outdoors on the GM Plaza & Promenade, is expected to attract hundreds of guests with proceeds benefiting the nonprofit Conservancy and its continued development of the Detroit Riverfront. The GM Plaza – situated in the heart of the international riverfront with spectacular views spanning from the Ambassador Bridge to Belle Isle – will be transformed into an intimate party setting providing guests with a night to remember at one of Detroit’s favorite destination spots. Guests will enjoy a strolling dinner featuring Detroit favorites and Michigan-made products, along with cocktails and dancing on the Detroit RiverWalk with live entertainment by jazz greats the Les Williams Band and One World Island. In addition, the Conservancy will honor U.S. Senator Carl Levin during a brief ceremony for his decades-long commitment to the transformation of the Detroit Riverfront. A VIP ticket allows guests admission to an intimate pre-event cocktail reception in the Waterfront Lounge, located in the Renaissance Center, with stunning views of the RiverWalk, and the chance to mingle with the honored guests and sponsors prior to the party. A range of tickets are now on sale for this spectacular evening including: VIP Tickets, $250 each, which includes complimentary valet parking and admission at 5 p.m. to the pre-event cocktail reception at the Waterfront Lounge in the Renaissance Center; General Admission, $125 each; Young Professional, $75 each, for ages 34 and under. 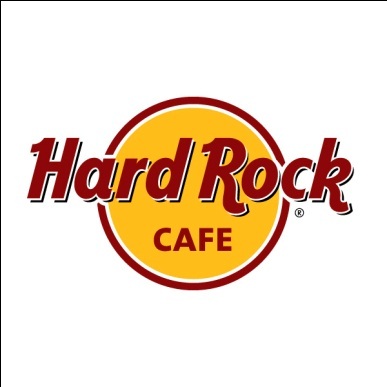 Reserved tables of ten can also be purchased for $1,000 and $2,000 for the VIP level. Vivian W. Day & John W. Stroh, III, are serving as this year’s Honorary Co-Chairs. The event is presented by Strategic Staffing Solutions, with additional sponsor support from Quicken Loans, DTE, Securitas, Charter One, General Motors, Display Group, Diamond Hospitality, Harrington Communications, General Linen, lovio george | communications + design, and HOUR Detroit. Family vacations in Detroit can be rewarding experiences or absolute disasters — it all depends on pre-trip homework. To make planning easier, we've done all the preparation. 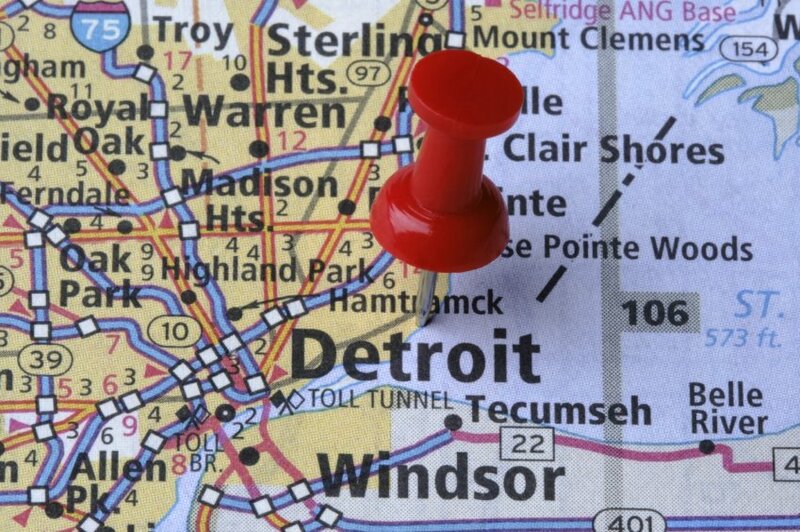 As part of a Huffington Post Travel series on traveling with children, here are recommended attractions for those planning Detroit family vacations. Located on the Ford Motor Company's sprawling campus in Dearborn, Mich., the Henry Ford Museum offers a fun and interactive run through the history of the automobile, aviation and other forms of transportation. Sensory overload is easy to come by in a huge, one-floor display space with 40-foot ceilings. The Automobiles in American Life exhibit is closed through December 2011 for a makeover, but other exhibits make the Henry Ford Museum well worth a long visit. The Heroes of the Skies exhibit highlights famous planes, aviators and artifacts — like the chair President Abraham Lincoln was sitting in when he was assassinated — and automobile enthusiasts will love seeing the collection of presidential limousines exhibited here. A relatively new jewel in the downtown Detroit skyline, Comerica Park, home of Major League Baseball's Detroit Tigers, is a must-see for baseball fans — even when the team is out of town. During the summer, the ballpark offers scheduled tours which include the visitor's clubhouse and dugout, the Ernie Harwell Media Center, the Detroit Tigers Walk of Fame, the party suite and the batting tunnel. zzzthe Tigers play 81 home games per year — even more if the team does well enough to make the American League playoffs. A tour of the Motown Museum is fun and informative given the rich history of the former headquarters of the record label. Music legends such as Stevie Wonder, The Temptations and many others launched their careers here and recorded their top hits in the now-famous Studio A. The iconic "Hitsville U.S.A" sign on the front of the modest structure is a Detroit landmark. 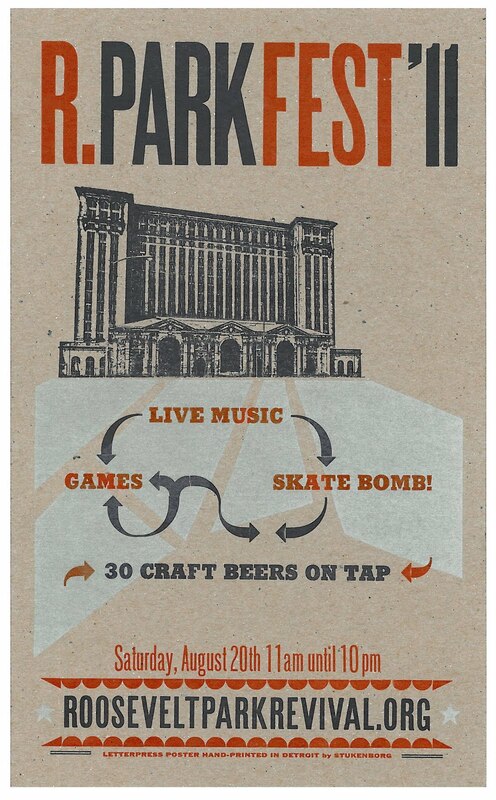 R. Park Fest Is This Sat, Aug. 20 11am-Midnight in Corktown! A project to entice more Detroit Police officers to live in the city they “serve and protect” celebrated its first success story on Wednesday. 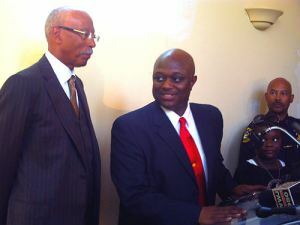 Detroit Police officer William Booker-Riggs will soon move into his new home on Renfrew Road in Detroit’s Green Acres community. “This fit me and my daughter, once she gave me that approval, I was excited to go with it,” said Booker-Riggs. 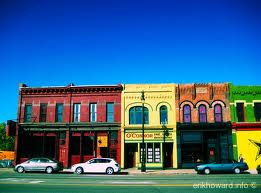 Corktown Listed in USA Today's "10 Great Places to Explore"
Not long ago Americans were abandoning their cities. Now many of the nation's urban areas are booming with new restaurants, parks and condos. Richard Florida , who studies urban trends, says much has changed in the last decade. "It was almost as if someone stepped on the accelerator," says the senior editor for The Atlantic magazine and a professor at the University of Toronto. All these areas are great to visit, he says, offering a slice of local urban life. He shares up-and-coming neighborhoods with Larry Bleiberg for USA TODAY. The situation in East Africa is volatile. Drought threatens more than 12 million with starvation, and thousands wander the land in search of food, water, and basic aid. The Hand Up 4 East Africa project was formed in response to the dry, dimming conditions, and the hurt that ensues. On the weekend of September 9, Hand Up 4 East Africa will traverse the state of Michigan. Covering the 168 miles from Holland to Detroit, they walk to raise $10,000 for relief and development work in East Africa. Hand Up 4 East Africa walks to demonstates the severity of the situation, that many are forced to journey unimaginable distances, while sick and hungry, in a measure to save their lives. Funds raised will go to Mercy Corps, an international aid agency, to support ongoing relief and sustained food security in the region. Mercy Corps communications director Joy Portella warns, “Things won’t get better in the coming months leading up to the hoped-for fall rains. If we...don’t act now, the vice will keep tightening, and families will get squeezed dry.” East Africans are wandering after water. Their livestock (their livelihood) is suffering just as much as they are, and it only compounds the situation. Many women take on the now common title “drought widow” as their husbands depart with their herds in search of food and water. Not only are resources frail and failing, but families too are deteriorating in a time when the support of kin is vital. Families are seeking respite, but doing so divided and without promise of reunion. In order to raise awareness and much needed funds, Hand Up 4 East Africa will walk the distance that many starving and frail East Africans are walking to survive. Our walk pales in comparison to the excruciating passage trekked in the heat of shadeless plains, while sick and hungry. Though we could never truly imagine what it would be like to make a journey to save our lives, we walk in solidarity, and walk for relief and future security. If you would like more information regarding this fundraising campaign please contact Hand Up for East Africa at handup4eafrica@gmail.com or Jessica at (586) 907-4658. 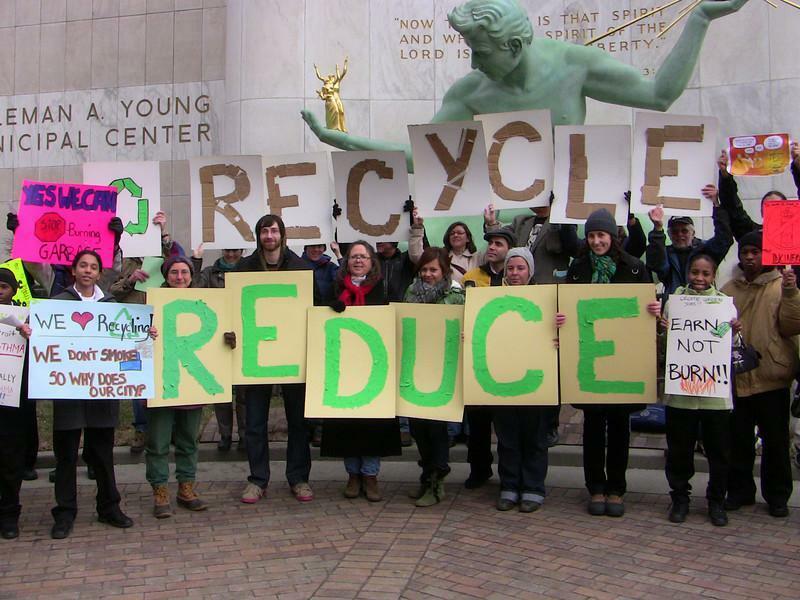 A social movement is underway in downtown Detroit. 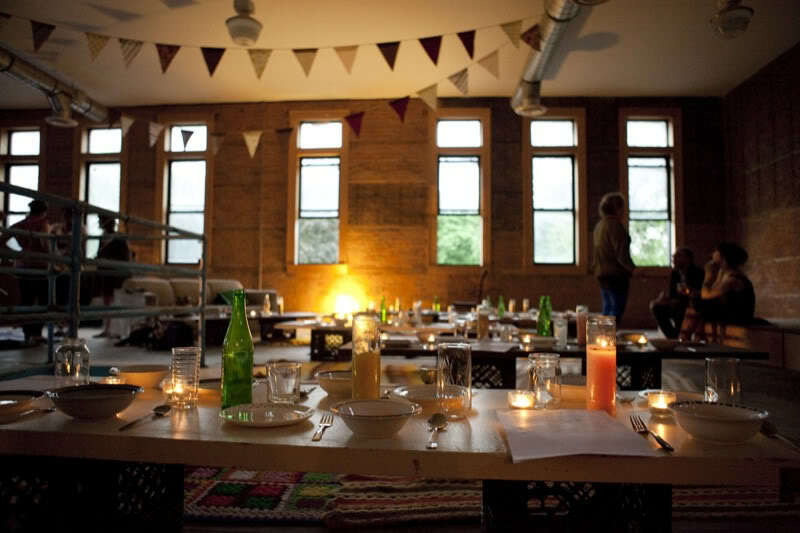 Each month, 100 or so individuals pay $5 for admission to a loft, where they eat a dinner of organic soup (and other foods) prepared by volunteers. Diners share ideas and connections, hear presentations from artists who are working on projects aimed at improving the city, and then vote on which project will receive proceeds from the evening's dinner. Detroit SOUP organizers call the gathering "a democratic experiment in micro-funding," but it’s much more than that: It’s an example of the power of co-creativity, and it represents the way forward for organizations that want to remain relevant and reach consumers in an authentic way. In recent years, crowdsourcing has become a trendy tactic for soliciting input and engaging consumers, but in reality this approach is nothing more than an open call for submissions. As an ever-expanding number of products, messages, and mediums clamor for the attention of an increasingly distrustful and time-deficient American consumer, crowdsourcing has become about as strategic as throwing a handful of spaghetti against the wall to see what sticks. Of course, in select cases--such as voting on the next Threadless design--crowdsourcing is appropriate. But increasingly, it's a quick answer to a problem that deserves a more open-ended solution, or an excuse to outsource expertise to an unqualified or too-large crowd (a la the Doritos ad snafu). Yesterday, businesses succeeded through industrial or technological expertise, with little need to converse with consumers. Today--thanks to fast and accessible technology for everything from photo editing to event planning--we're all creative types, and there is no such thing as a one-way conversation. Welcome to The Age of Co-Creativity. Marketers are beginning to understand that it's no longer viable to work in a vacuum, and that seeking consumer input by casting a wide net into an anonymous pool won't suffice. And even empowering consumers to express themselves via their connection to a brand ignores the fact that today's consumers are already connected to each other through shared passions, desires, and common interests in collaboration and doing more with less. Real co-creativity occurs when organizations reach out purposefully to a specific community in order to create an ongoing conversation that fosters feelings of impact, belonging, and brand loyalty that don’t just come from Facebook likes. This is where Detroit SOUP gets it right: the crowd, while varied, is collectively interested in local issues, art, innovation, and urban improvement. Sounds simple enough, right? Well, not really. The gap between theory and practice remains wide and the reality is that, even for the most well-intentioned marketers, co-creativity is tough work that involves significant resources, time, and energy. The difference between doing it wrong and taking the time to get it right is the difference between enhancing your approach and cheapening your brand. Or, to use examples: the difference between Motrin Moms and Walmart Moms. BTO are Takin’ Care of Business at Chevy Rockin’ on Riverfront Concert Series Tomorrow! Closing out the Chevy Rockin’ on the Riverfront concert series this year, classic rock fans can be sure that the party of the summer is yet to come. Randy Bachman and Fred Turner are out to prove 20 years after they formed one of the rock’s legendary bands, they have something new to say. Back as a duo and still Rollin’ Along, they are reunited. They’ve been Takin’ Care of Business since 1971 and while that business may have changed, the songs endure. Sing along to hits like You Ain’t Seen Nothin’ Yet and Let it Ride. It’s time to celebrate and this is just the band you want to party with, as the concert series draws to a close. Bachman-Turner marks the final show of the 2011 Chevy Rockin’ on the Riverfront concert series in 2011, which has been presented in partnership with Detroit’s Classic Rock Station 94.7 WCSX-FM. Opener The Eddie Leighton Project is set to go on at 7:30 p.m. while Bachman-Turner takes the stage at 9 p.m.
As always, admission is free and no advance tickets are necessary. Viewing space will be on a first-come, first-served basis and people are encouraged to bring their own lawn chairs and blankets. In addition, boaters on the Detroit River are invited to anchor near the riverfront and enjoy the view of the stage from the water. By combining her experience as a bgirl, flavor for hip hop and her background in fashion design, Christine "Ris" Tena will open the online retail shop called honeyBOOM for business August 14, 2011. honeyBOOM (www.HNYBM.com) is a retail shop that will carry vintage sportswear, bboy/bgirl gear, streetwear, accessories, art and custom pieces created by Ris. The history behind the shop is rich in artistic influences as Ris has used her fascination with the golden era of hip hop, also known as the 80s, to serve as a concept for the store. honeyBOOM is also inspired by break dancers - also known as bboys and bgirls - and the awesome charisma and style they posses as dancers, cultural revolutionaries and fashion icons. “This project came naturally to me because it brings together two of things that I love the most: fashion and hip hop. It's the best of both worlds,” says Ris. HNYBM.com will consist of news, event dates, lookbooks, press coverage, bio, contact info and the clothing shop. It will take on an old school vibe that creatively helps customers to reminisce looks from the 80s and 90s. Ris herself is a dancing bgirl and grew up in the Bay Area where this cultural dance style flourished. “I was inspired to start this shop after I saw a bboy selling windbreaker jackets out of his car trunk during a regular dance practice sometime in 2007," said Ris.” “I was collecting my own personal pieces of windbreakers as I was coming across other items that I thought other people would love. I slowly started to collect vintage sportswear pieces with the intention of distributing it among the people that would appreciate it the most - my fellow hip hop peers,” she added. 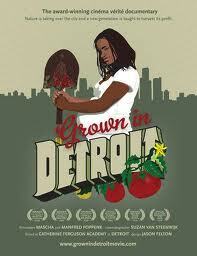 Grown In Detroit Documentary Featured At Windsor's "Taste of Film Festival" This Weekend! Windsor International Film Festival has something for you to chew on. The annual blowout for film buffs every fall has expanded into the summer by serving up three tasty flicks as part of the third Eat Your City festival on now. The three movies this Saturday at Capitol Theatre, 121 University Ave. W., all have a culinary theme. Ratatouille, 2 p.m., is the animated family film about a French rat that heads to Paris to pursue as career as a master chef. The screening is free. Grown In Detroit, 5 p.m., is a fascinating documentary from Dutch filmmakers Mascha and Manfred Poppenk about efforts by an inner-city Detroit high school to develop urban gardens in povertystricken neighbourhoods. Tickets $10. King of Pastries, 7 p.m., follows the annual pastry competition in Lyons, France, as 16 chefs reveal the secrets behind their mouth-watering recipes. Tickets $10. Adriano Ciotoli, organizer of Eat Your City, said movies and food are a natural pairing. "We love to go out to dinner either before or after a movie," said Ciotoli. "This just makes your choice a little easier." Think of the films as an appetizer to an evening on the town. Nick Cacciato, president of Windsor International Film Festival, said the three films are a way to keep the fall festival front and centre in people's minds. "We hope this becomes an annual attraction," he said. Along with the movies there will be a free, interactive sushi workshop following the screening of Ratatouille, and a demonstration of how to build your own urban garden following Grown In Detroit. Film tickets can be purchased at the door. For more information about Eat Your City or the movies, check out these websites: windsoreats.com; windsorfilmfestival.ca. Detroit was once known for dominating the world's automotive production, creating the Motown Sound, and its one-of-a-kind blue-collar work ethic. 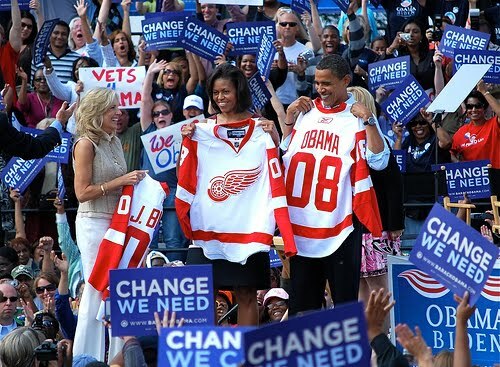 Currently, however, the Motor City finds itself at a crossroads. 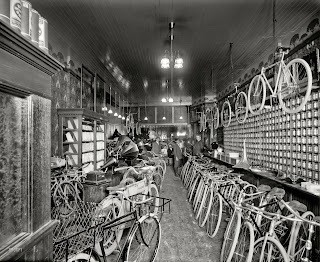 Global competition, a global recession, and a declining population have taken a severe toll on what was once America's industrial backbone. Despite these challenges, die-hard Detroiters still have not given up on restoring this once thriving metropolis. In a world premiere television event, Planet Green and General Motors present DETROIT IN OVERDRIVE, the story of a diverse citizenry working together to overcome tremendous odds to rebuild their cherished Motor City -- and create a 21st Century Detroit. 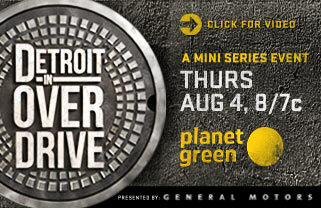 The three-part documentary, DETROIT IN OVERDRIVE, premieres on Planet Green on Thursday, August 4 starting at 8PM ET. "It's been an honor to partner with General Motors on this inspiring project, as there is no more steadfast supporter of the Detroit community," said Laura Michalchyshyn, president and general manager of Planet Green. "It was our goal to document and inspire new awareness of a once-thriving city being resurrected by its devoted citizens and communities. We are thrilled to offer America a close look at the struggles Detroiters have had to face -- and how they are fighting back for the city they love." "In addition to doing everything we can to support the city of Detroit, we also need to support the efforts to communicate the City's progress and positive stories," said Joel Ewanick, General Motors Chief Marketing Officer. "Working with Planet Green, we are pleased to present this story about the great American spirit and the great stories behind the rebirth of this important American city." Fashion designer Joe Faris moved back to Detroit from New York City to start a garment company. His line of jeans, Motor City Denim, are designed and constructed in a retrofitted factory -- TDIC -- that has made protective covers for robots for the automotive industry for more than 30 years. Joe's new denim designs incorporate seatbelts, rivets and other car inspired elements found around the factory. Five-time Grammy nominated rocker and Detroit native, Kid Rock created his own beer label, Badass Beer, to create jobs and give back to the city he loves. John Bradburn is an environmental engineer at General Motors, whose family has worked in the automotive industry for multiple generations. The Bradburns have adapted to changing times and a shifting economy. FIRST Robotics is an afterschool program created by American inventor Dean Kamen for high school students to pique their interest in robotics. A local Detroit high school, Finney High, is a prime candidate to introduce underprivileged students to the world of engineering. Meet 18 year-old-senior, Jacob Durrah, who has acquired a newfound interest in robotics and engineering through this groundbreaking program. Tyree Guyton, best known for the Heidelberg Project, is an artist recognized around the globe. 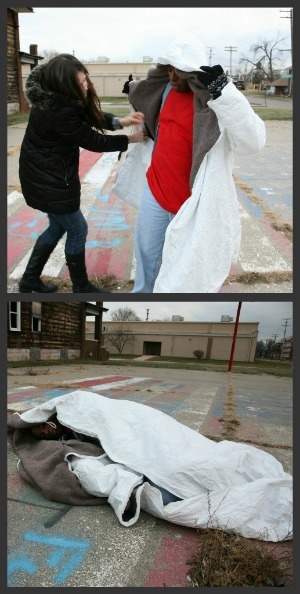 His new installation, Street Folk addresses Detroit's homeless problem head-on. In a sweep of inspiration, Tyree plans to pave an entire city street with 10,000 shoes collected from all over the world. In the wake of record moguls like Barry Gordy, Woodbridge Records is a start-up record label with three bands under its belt and a drive to make a mark on Detroit's illustrious music scene. Andrew Beer, the founder of the label is at the helm of nurturing, producing, promoting and distributing the bands on the label. College for Creative Studies is one of the leading design schools in the world with a distinct focus on automobile design. Here, adjunct professor, John Manoogian, a 33-year veteran car designer for General Motors, teaches a rigorous, yet gratifying design studio class. The Sphinx Organization puts musical instruments in the hands of Latino and African American children to expose them to classical music and encourage a career in the arts. High school senior China Leitner has been playing trumpet in the Sphinx Program for years, has an upcoming audition with Wayne State University where a big scholarship is within reach, a determining factor as to whether or not China will go to college. Veronika Scott, a fourth year student at the College for Creative Studies, has designed a heat-capturing coat that turns into a sleeping bag. Made for the homeless, and constructed by the homeless, her product has become a multi-stage program that aims to provide housing, food and jobs. Viewers sit in on a monthly event called "Soup," where young artists pay a small fee to come together for a simple dinner of soup and bread, and pitch projects to better their community of Hamtramck (a neighborhood completely surrounded by metro Detroit). The Russell Industrial Center (RIC), originally a 1925 auto body plant is a 2.2-million-square-foot, seven building complex. A community unto itself, RIC is now home to many artists, craftspeople, and small businesses. Eric Novack, operations manager, visits with Mike Dion, an artist who makes sculpture out of junk and Andy Kem, a furniture designer and digital sculptor at General Motors. Some Detroiters are spearheading a local food movement. Edith Floyd takes matters into her own hands and starts an urban garden where abandoned and blighted houses once stood. She is one of a growing number of Detroit's urban poor, determined to eat healthy and become self-sufficient in a city with very few food options. Kristyn Koth and Malik Muqaribu feed Detroiters in their 1956 Airstream, "The Pink Flamingo," delivering fresh organic food to Detroiters in a unique mobile food truck. DETROIT IN OVERDRIVE is a co-production between Planet Green, Discovery Studios, LLC and General Motors. Michael Selditch is director and executive producer. For Planet Green, executive producers are Lynne Kirby, Lynn Sadofsky and Laura Giacalone. For Discovery Studios, LLC, executive producers are Robin L. Sestero and Bill Gardner. The Detroit Historical Society’s Past>Forward campaign received a boost last week thanks to metro Detroit’s young professionals. On Thursday, July 28, the Detroit Historical Society welcomed more than 200 supporters onto the Streets of Old Detroit to launch its latest donor cultivation program, Detroit 313. An innovative new fundraising effort, Detroit 313 has a straightforward mission – to reach 313 Detroiters who recognize the value of the region’s history and will help raise funds for the expansion and preservation of the Society’s exhibitions and collections. The new program sets forth a challenge to attract 313 new members who will each pledge a total of $313 over the next three years to the Society. The money will directly benefit the Past>Forward campaign which has the goal of raising $20.1 million towards new and expanded exhibits, technology upgrades, educational offerings and enhancements for the Detroit Historical Museum, Dossin Great Lakes Museum and Detroit Historical Society Collection. 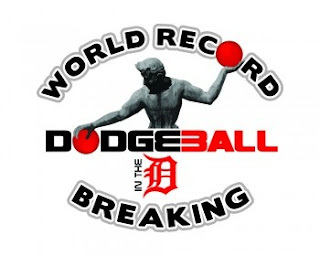 Amid a festive atmosphere within the Detroit Historical Museum, the Detroit 313 event July 28 garnered a total of 43 new commitments for this initiative. 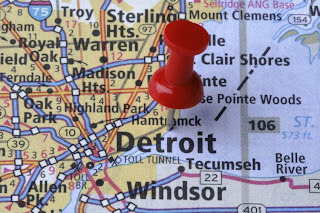 “Membership in Detroit 313 is an opportunity to connect the exciting things the Society will accomplish through this campaign to a group that has the energy and commitment to support the continued growth of our region,” says Kristin Lusn, Detroit Historical Society trustee and 313 committee member. For more information about Detroit 313, visit www.detroithistorical.org, or call 313.833.1980. The Chevy Rockin’ on the Riverfront concert series just kicked into high gear. On Aug. 5, the GM Riverfront Stage will host not one, but two legendary performers. In the 1960s, as a member of the elite Wrecking Crew, Leon Russell played on hundreds of hit records. In the ‘70s he founded the legendary Shelter Records. He toured with Edgar Winter in the 80s, teamed up with Bruce Hornsby in the 90s and, by 2006; he earned a Lifetime Achievement Award. In his 50 year career, Russell has played on, arranged, written and/or produced some of the best records in popular music including Tight Rope and Hotel Heartbreak. Hamtramck-born Motor City rocker Mitch Ryder is credited for giving Detroit its gritty heart and blue-eyed soul. Backed by his Detroit Wheels, Ryder hit the Top Ten charts in the 60s with the hits Jenny Take a Ride and Little Latin Lupe Lu before breaking through with the smash Devil with a Blue Dress On/Good Golly Miss Molly. Ryder pursued a successful solo career throughout the 80s and 90s and continues touring. 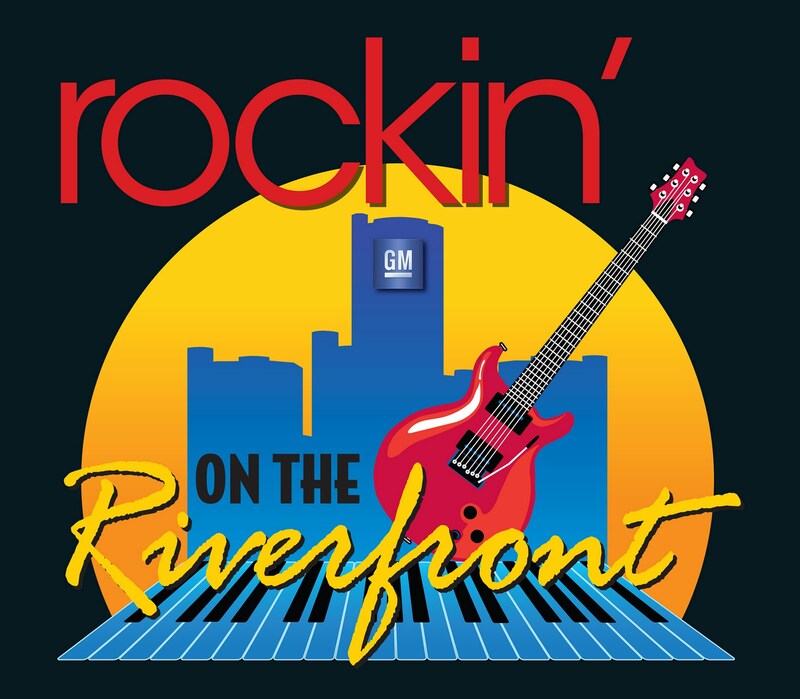 Catch Leon Russell and Mitch Ryder performing a phenomenal double bill Aug. 5 on the GM Riverfront stage for the fifth show of the 2011 Chevy Rockin’ on the Riverfront concert series, presented in partnership with Detroit’s Classic Rock Station 94.7 WCSX-FM. Rockin’ on the Riverfront features classic rock headliners on select Fridays during the summer making Riverfront Plaza a great destination for food, fun and free concerts. Don’t miss the final show of the series next week - Bachman-Turner with opener The Eddie Leighton Project on Aug. 12. Admission is free and no advance tickets are necessary. Viewing space will be on a first-come, first-served basis and people are encouraged to bring their own lawn chairs and blankets. In addition, boaters on the Detroit River are invited to anchor near the riverfront and enjoy the view of the stage from the water. “Last one out, turn off the lights” is a saying often heard in Michigan, referring to people leaving the state to find work in other parts of the country during the recent economic downturn. However, RTT USA, Inc. (RTT) is breaking this trend by attracting talented technology and design professionals to metro Detroit. Most recently, Marlon Montgomery relocated to Michigan from Singapore specifically to work as studio manager for RTT, the leading provider of realtime 3D visualization solutions for product design, marketing and sales. In his new position, Montgomery is responsible for developing presentations, overseeing production, ensuring high-quality client deliverables and contributing to the company’s human resources initiatives, as well as research and development. “I chose RTT and Michigan because I think that RTT is a great cultural fit for myself and that the area is a wonderful place for my family and to raise our children,” said Montgomery. Montgomery comes from a long line of major production companies including Dreamworks in California, Vanguard Animation in London and most recently, Lucasfilm Animation Company in Singapore. Since January 2010, RTT has added 15 full-time employees – eight of which relocated to Michigan for a job with RTT – further proving the company’s commitment to the state’s economic future. RTT currently has 82 employees at its Royal Oak office. RTT is still seeking and recruiting talented professionals in 2011. 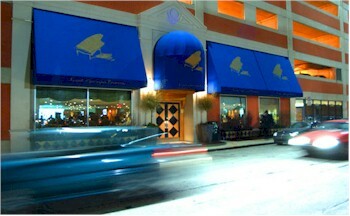 For more information about RTT, visit www.rttusa.com.